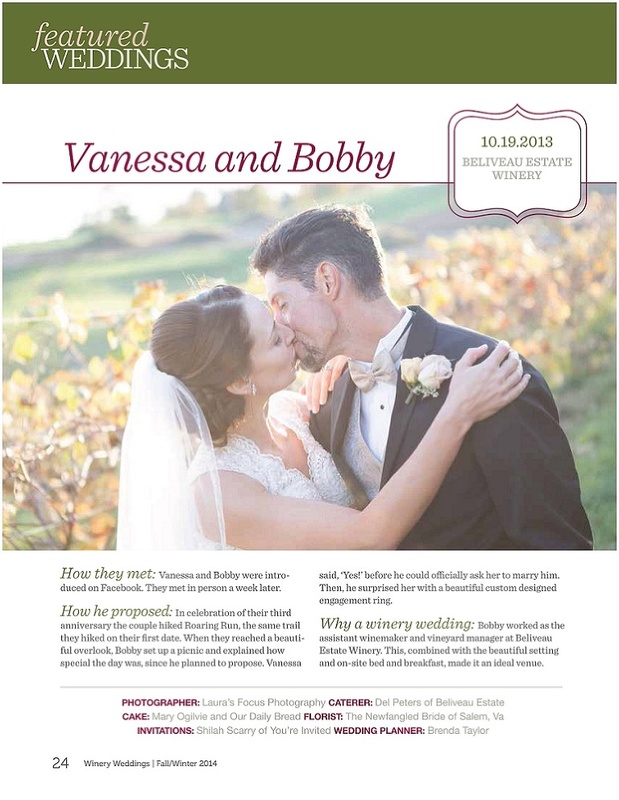 I was so honored when Winery Weddings Magazine asked to feature Vanessa and Bobby’s wedding held last year at Beliveau Estate Winery in Blacksburg, Virginia! 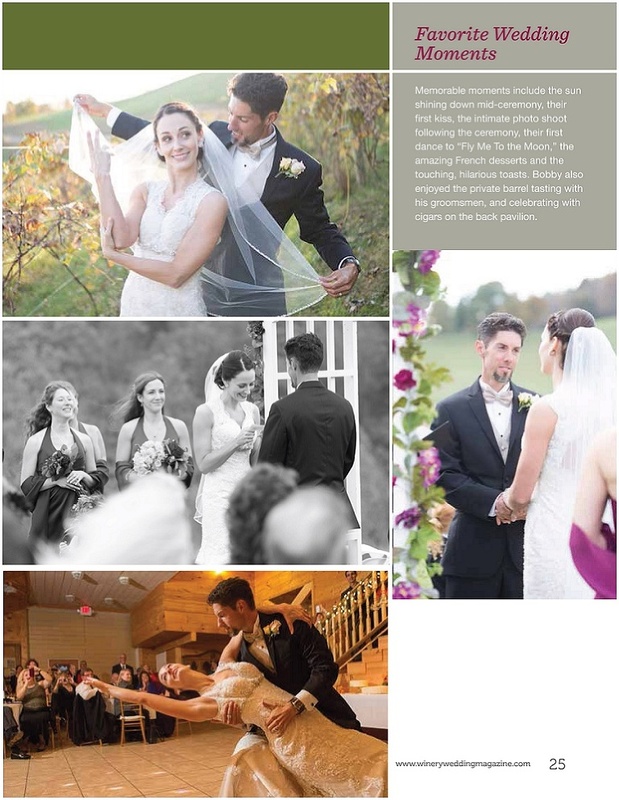 The following spreads are featured in the fall/winter 2014 issue and the full issue can be seen later this week on the Winery Weddings website. 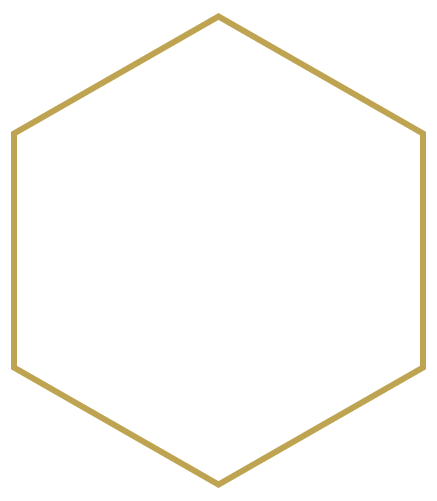 This was one fun wedding at a gorgeous venue! To see more images from the day, check out Vanessa and Bobby’s full blog story.